*If the surface is porous – natural, unsealed stone for example – the oil may absorb and discolor the surface. Make sure to check in an inconspicuous area before applying. 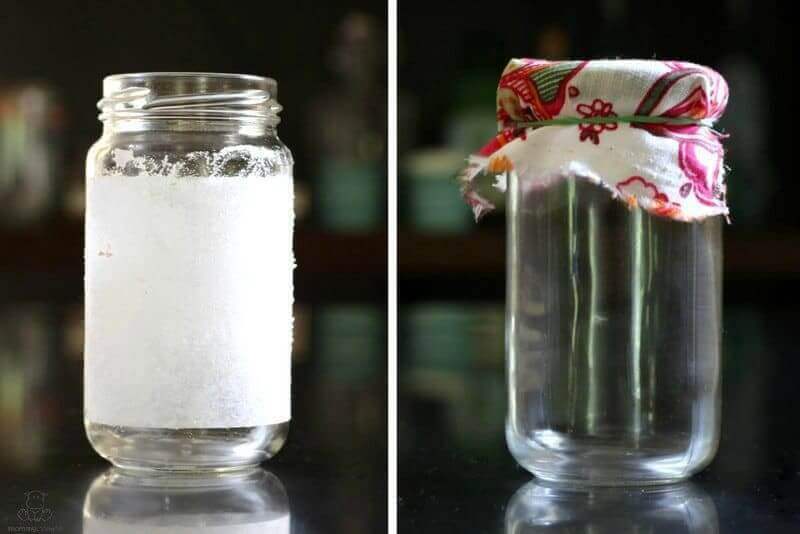 All you need is coconut oil, baking soda and a bit of essential oil if you have it on hand. 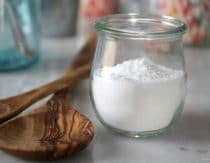 Oh, and if you’re looking for simple solutions like this one, you can find 22 more uses for baking soda here. Blend all ingredients together and store in an airtight jar. 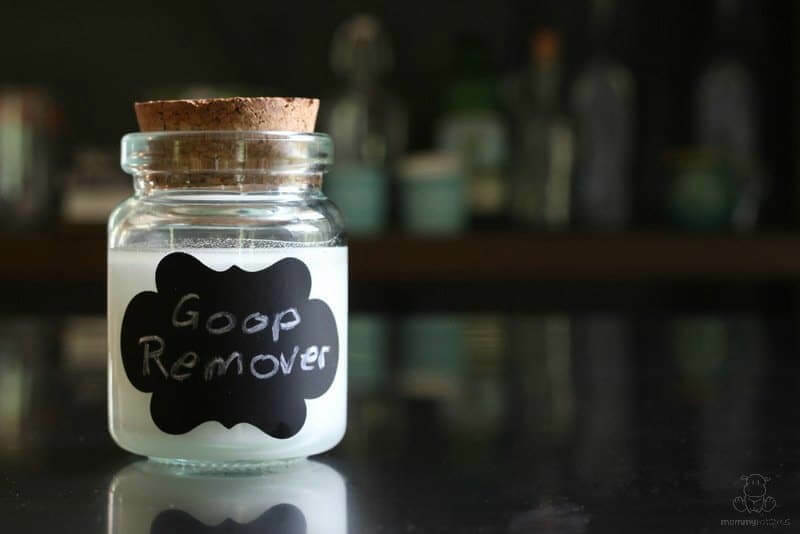 If you are removing a label, try to peel off the outer layer of paper before applying the goo and gunk remover. This will allow the mixture to penetrate more quickly. Spread paste onto sticky surface and let sit for 10-60 minutes – the longer it is left on the easier the removal process. Rub with a washcloth and rinse clean. Repeat if needed. Important note: The baking soda in this formula is abrasive and may leave small scratches on certain surfaces, particularly plastic. Test a small area before applying it to the entire surface. 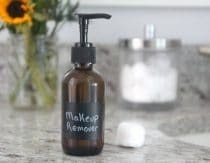 I’ve used it very successfully with a variety of glass surfaces. I made this using left over grease from cooking and just adding baking soda. It works like a charm. Very smart. 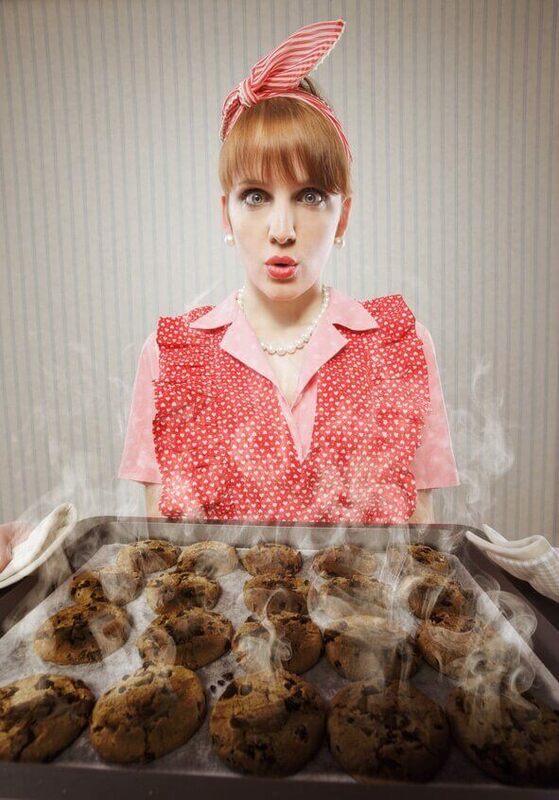 Why spend $$ on coconut oil when bacon grease serves the same purpose! My mother was famous for recycling common grease for various jobs, even as hand “cream!” She was frugal and smart. What a great idea! You just saved me a trip to get coconut oil. I always have bacon grease! Any thoughts on removing carpet glue off wood floors? 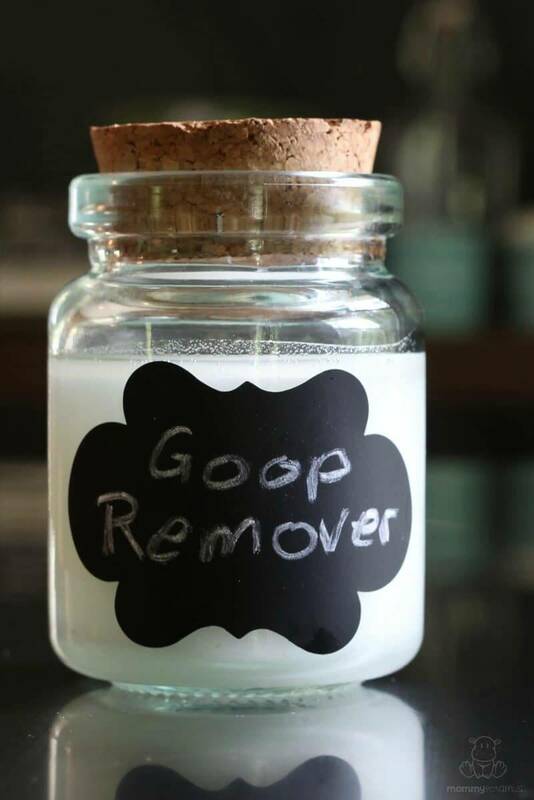 Your goop remover? Want to keep the finish on the floors. Used mineral spirits, but very slow process.